GIST is the most common mesenchymal tumor of the gastrointestinal tract. 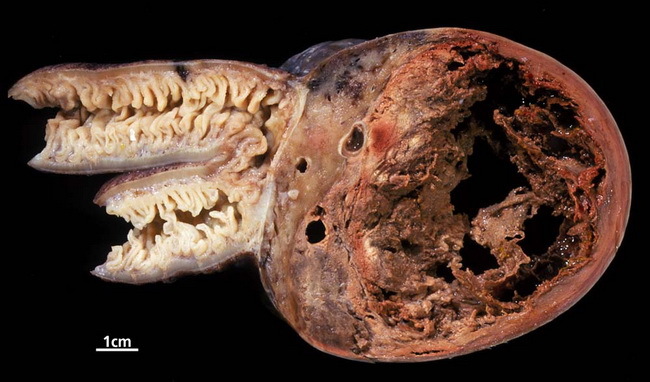 Very large GISTs of the small intestine can infarct, leading to hemorrhage and necrosis. Aggressive GISTs can also invade the mucosa, though this example appears to remain well demarcated. Image Copyright: pathorama.ch.